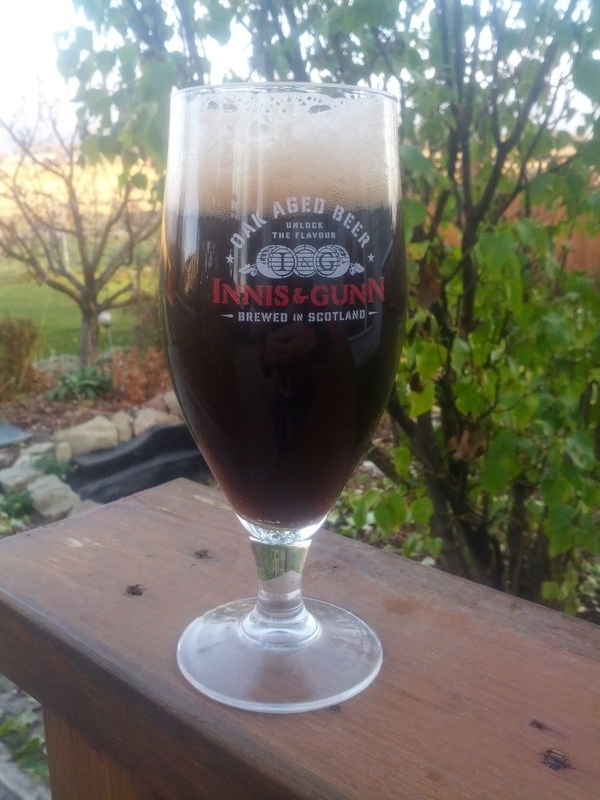 This is a chocolate stout I brewed about 2 months ago now. I'm still working on developing a chocolate stout that really hits home for me - Momma always taught me that it's better to have extra spice than not enough spice, and I associate with that opinion when it comes to beer. In all honesty, I'm not the kind of brewer looking for balance when it comes to a flavored beer. I strive for balance and to showcase the beer flavors when I'm making a traditional style of beer, but in certain flavored beers, such as a chocolate stout or pumpkin spice beer, I want the flavors to be apparent - like eating chocolate cake or pumpkin pie. It really depends on the circumstance I suppose, because certain other beers I look to showcase the beer with just a hint of the spice to compliment the malt, hops and yeast derived characteristics. When it comes to brewing with chocolate, many brewers find it difficult to strike a strong chocolate flavor in their beer. There's so many ways to add flavor, from adding bakers chocolate, to cocoa powder, to cocoa nibs. For this beer, I used a few different techniques. I don't use, nor do I recommend using baker's chocolate, because the processing leaves plenty of oils in the bars that can interfere with having a proper head on your beer. Cocoa powder is a good way to get a strong chocolate flavor, but the usual complaints are of a chalky, raw cocoa flavor left in the beer. Cocoa nibs are nearly unprocessed, roasted crushed cocoa beans, so they're the most genuine source of chocolate flavor that you can get, and many people swear by them. The downside is that they can be pricey. For this batch, I tried a few new techniques: I added 8 oz of cocoa powder at flame out, and allowed it to steep for 5 minutes before chilling with an immersion chiller. I had heard a tip, that I seem to remember being from one of Michael Tonsmeire's (The Mad Fermentationist) articles - which is to "bloom" the cocoa by adding hot water to it before mixing it in. This prevents the clumping of cocoa powder, and apparently helps with flavor release. I don't know if I like this technique, and next time I will be going without the blooming, as I feel like it added a sort of haze to the finished beer, making it look murky brown instead of black. This doesn't make much sense though, considering the alternative is adding all the chocolate to the boiling hot wort - which is mostly water. The second technique I used was to use 4 oz of cocoa nibs, and to soak them in vodka for a week before adding them to secondary for a week. They smelt delightful, but the chocolate flavor still is not as strong, or perhaps as clear as I would like it to be. Next time I think I will use 8 oz of nibs in the secondary instead. Another technique I may try next time is to wet a certain amount of cocoa powder with vodka, and add it straight to the secondary, rather than exposing it to the boiling water at all. 4 oz cocoa nibs, soaked in vodka for a week, chocolate infused vodka and cocoa nibs both put in secondary for a week before bottling. Appearance: Looks black in moderate lighting, but if light shines on it you can see that it is a murky sort of brown. Aroma: Chocolate in the foreground, with a nuttiness coming afterwards. No esters or hops aroma. Flavor: Chocolate and roast, but the lingering flavor reminds me of coffee as much as it would chocolate. Despite the lack of hops, the beer has a lingering moderate bitterness that resembles dark chocolate moreso than hops. A hint of alcohol presents itself in the finish, could be from the 6% beer, or the mix of vodka from the cocoa nibs and brandy from the vanilla extract. Aftertaste presents itself as dark chocolate. Mouthfeel: Decently thick body, and moderately low carbonation. Overall: So far, the best chocolate stout I've brewed, but it's still far from perfect. I don't think there's enough of a roast barley character, so the beer does not defend it's status as a stout. The murky colour is not very aesthetically pleasing, so I will try to avoid it next time with more of a chocolate extract approach. The cocoa character is still a bit coffee like, and I got this same impression last time I used cocoa nibs. For next time: cocoa extract rather than adding at flame out, and 8 oz cocoa nibs in secondary instead.